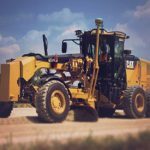 We carry industry leading wheel loaders from Caterpillar and John Deere that range in size from smaller rig loaders (930/544) to production loaders used in mining and large dirt work projects (980/844). 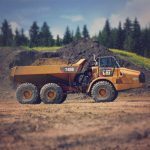 Wheel loaders are one of the most flexible pieces of equipment on any job site. They have the ability to quickly and efficiently move between different tasks simply by changing attachments. 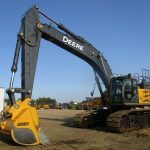 To ensure our customers have the most flexibility we equip all of our loaders with hydraulic quick couplers and stock a full assortment of attachments from general purpose buckets and pallet forks to jib booms and pipe grapples. This means it only takes minutes for an operator to go from clearing and piling snow or dirt with a bucket to moving pipe with a grapple. 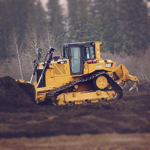 Our loaders are being used on diverse projects and sites across Western Canada in all seasons. 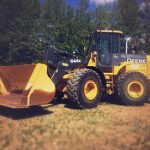 Snow removal, gold mining, oil sands development, service rig support, pipe yard maintenance, power line construction and commercial building are just a few of the ways our customers utilize rental loaders to support their operations.